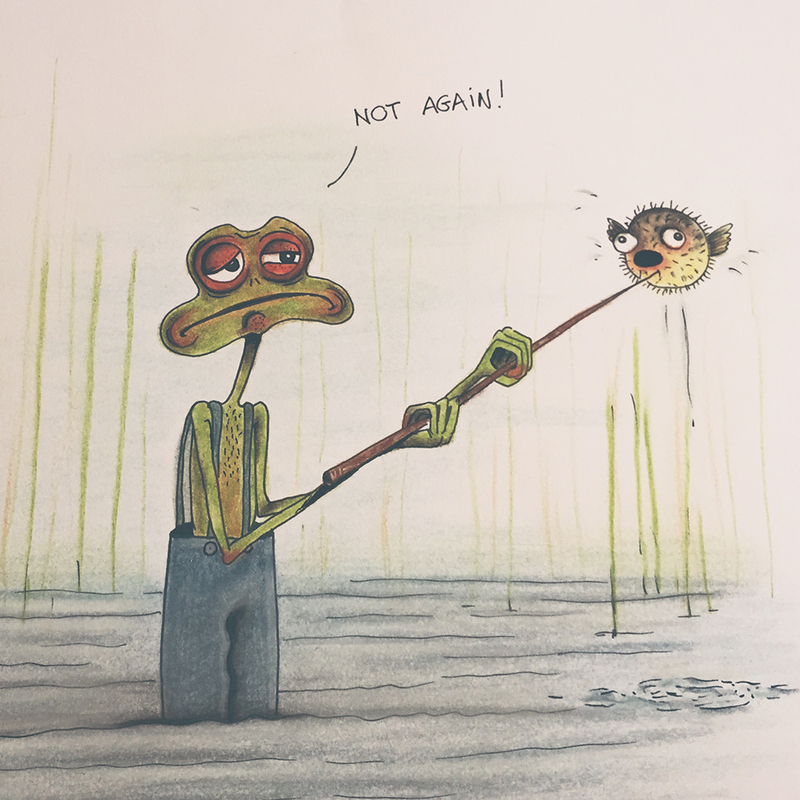 Here's just a silly old frog fishing for some food. But he keeps catching blow fish! He's not really happy about that... because well, those are a little bit too prickly to swallow!